The orcs that most of the denizens of Wesnoth are familiar with are the teaming masses forced out of the Northlands. But the orcish societies are more complicated in those Northlands. 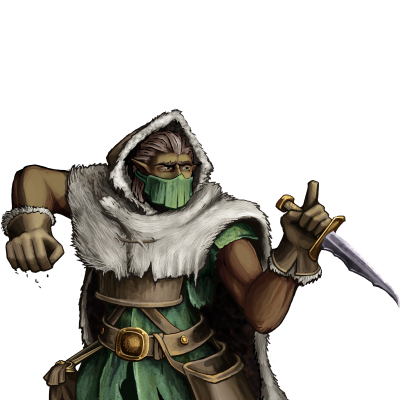 The Vagrants are skilled at travelling through the Northland terrain, and while not much more powerful than the common grunt, they are swifter and harder to kill.